The Takata airbag recall is the largest in the history of the car industry. Over half a decade of recalls, dozens of people were killed and many more were injured by faulty airbags. Takata and almost 20 different automakers recalled vehicles to replace driver’s side or passenger’s side airbags, reported Consumer Reports. These defects resulted in lawsuits brought against carmakers and the Japanese airbag manufacturer Takata. Takata put these airbags in cars from model year 2002 through 2015. Some of those airbags exploded without warning. They injured and even killed occupants. 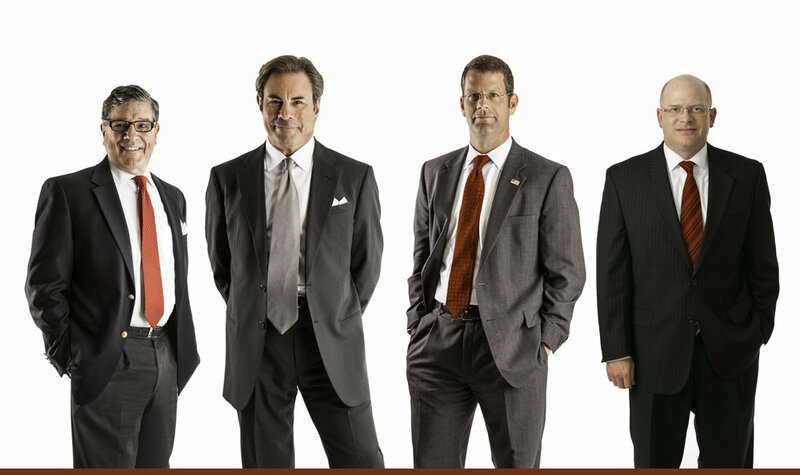 If you or a family member has been hurt in a Takata airbag accident, please call our experienced trial lawyers today. What is the Cause of Takata Airbag Accidents? The cause of the Takata airbag explosions is their inflator, a metal cartridge containing propellant. In some cases, the metal in the inflator has ruptured, sending fast-moving shards into the faces and bodies of drivers and passengers. The National Highway Traffic Safety Administration traced the problem to ammonium nitrate-based propellant without a chemical drying agent in the component. Airbags are more likely to explode in humid weather. How Serious are the Dangers of Takata Airbags? To date, exploding Takata airbags caused 16 deaths in the U.S. The federal government links at least 24 deaths and 300 injuries worldwide to defective airbags worldwide. A staggering 50 million airbags are under recall, affecting about 37 million vehicles, according to the NHTSA. The size of the recall means many car owners may wait months or even years for their car’s airbag to be recalled. The nature of the defect means that accidents do not have to be severe for drivers or passengers to suffer severe or fatal injuries. On many occasions, the airbags deploy in a fender bender, severely injuring drivers and their passengers. Not all of the victims have been drivers or passengers. In 2016, Ramon Kuffo was using a hammer to work on the interior of a 2001 Honda Accord. The Takata airbag deployed and the airbag’s mechanism shattered. Honda told the media that fragments of the shattered inflator likely caused the man’s death. As the toll of deaths and injuries related to faulty Takata airbags mounted, so too has the number of lawsuits. A class-action lawsuit filed in Florida claimed Honda, Ford, Nissan, and Toyota manipulated their safety data to conceal this deadly defect. Takata sent up a trust fund for current and future personal injury victims who were hurt by its airbags in 2018. The details can be accessed via Takata’s website. Takata advises claimants to consult an attorney in cases involving complicated injuries. A fund was also set up by the automaker Honda. The automaker will pay 100 percent of compensatory damages for current and future injury claimants without placing the fault on Takata. Given the size of the recall, NHTSA prioritized action based on the humidity of the area car owners live in. Airbags are more likely to be triggered in the humid conditions associated with the southern states. The highest priority zone A includes the hot and humid states and U.S. dependencies of Texas, Alabama, Georgia, Florida, South Carolina, Puerto Rico, American Samoa, Guam, the Northern Mariana Islands, California, and the U.S. Virgin Islands. Virginia is included in Zone B. This is a less hot and humid designation, which includes Arizona, Arkansas, Delaware, District of Columbia, Illinois, Indiana, Kansas, Kentucky, Maryland, Missouri, Nebraska, Nevada, New Jersey, New Mexico, North Carolina, Ohio, Oklahoma, Pennsylvania, Tennessee, and West Virginia. The least hot and humid states are in the North East, the Mid West, and North West. What Should You Do If You Were Injured by a Takata Airbag? Airbags are meant to protect motorist. It’s tragic that so many people have been killed and injured by a device that’s meant to save their life in an accident. The auto industry has been hit by a series of recall scandals in recent years. None of them are bigger than the Takata recall. If you or a family member has been hurt by a defective device such as an airbag, you should consult an injury lawyer. Although many carmakers and companies like Takata have set up compensation funds, these are often complicated cases. Talk to a lawyer initially if possible. The Smith Law Center has been fighting for the rights of the injured for decades. Please call us at 757.244.7000.